Taipei has called on the United Nations to include Taiwan in international discussions, meetings and conferences. Deputy Foreign Minister Paul Chang urged the organization to stop discriminating against Taiwanese people in accordance to the UN’s principles of diversity, equality and freedom, pointing in particular to Taipei’s constant efforts to respect and promote the UN’s core values. In the last few years, Taiwan was repeatedly banned from participating in UN meetings in New York and Geneva. The island nation had lost its UN permanent seat in 1971. Taiwan will express its strong desire for greater participation in United Nations-related organizations through allies' speeches, official letters, and other methods when the 72nd U.N. General Assembly opens in New York on Tuesday [12 September 2017]. 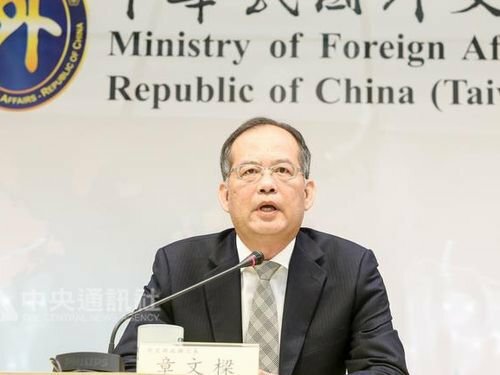 Deputy Foreign Minister Paul Chang (章文樑) said Monday the Republic of China (Taiwan) will ask its diplomatic allies to speak out in support of the country's meaningful participation in U.N.-affiliated agencies, as has been the case in previous years. The Ministry of Foreign Affairs (MOFA) will also ask permanent representatives to the U.N. of Taiwan's diplomatic allies to send a letter to U.N. Secretary-General Antonio Guterres to explain the pressing need to include Taiwan in U.N.-affiliated agencies, Chang said at a MOFA news briefing. Unlike in previous years, however, Taiwan will also make three concrete demands that press the U.N. not to forget the 23 million Taiwanese people who have been neglected by the international organization for decades. First and foremost, Chang stressed, Taiwan is an important partner in the Sustainable Development Goals (SDGs), and he called on the U.N. not to reject Taiwan in line with the principle of true universality. Second, Chang said measures preventing Taiwanese from entering U.N. meetings should come to an end in view of the values of diversity, equality and freedom symbolized by the body. Taiwanese have been barred from attending meetings and conferences held at the U.N.'s New York headquarters and at the Palais des Nations in Geneva unless they show a Mainland Travel Permit for Taiwan Residents, Chang said. The permit is issued to Taiwanese citizens by Beijing for travel across the Taiwan Strait. "Such an unreasonable measure should be revoked as soon as possible," Chang insisted. Finally, the government is calling on the U.N. to include Taiwan because of its achievements in realizing U.N. Sustainable Development Goals through its participation in a series of thematic discussions based on the U.N. Agenda for Sustainable Development 2030. As part of Taiwan's appeal, Chang said Foreign Minister David Lee (李大維) has written an article titled "Taiwan, a Valuable Partner for SDGs -- True Universality," for use in international media. The MOFA also released a short film titled "Taiwan: A Partner for a Better World" online. Other events will also be staged during the U.N. session in New York, including a seminar to be hosted by Environmental Protection Administration chief Lee Ying-yuan (李應元) and activities organized by civil groups, he added. "The R.O.C. government calls on the U.N. to squarely face the issue of the right of the 23 million Taiwanese people to participate in the organization and immediately stop these discriminatory measures before both sides find a mutually acceptable approach for Taiwan to attend UN-affiliated organizations," he said. The R.O.C. lost its U.N. membership in 1971 with the passage of a resolution stating that the People's Republic of China was the only legitimate representative of China to the international body. The government then launched an unsuccessful annual campaign starting in 1993 to reclaim the country's U.N. seat. In 2007, during the Democratic Progressive Party (DPP) administration of President Chen Shui-bian (陳水扁), the government sought U.N. membership under the name Taiwan in a campaign that got nowhere. Under the Kuomintang (KMT) administration from 2008 to 2016, the government did not apply to re-enter the U.N. under the Republic of China name or to apply for new U.N. membership as Taiwan, deciding instead to pursue meaningful participation in U.N.-affiliated organizations. Since taking power in May 2016, the DPP administration of President Tsai Ing-wen (蔡英文) has adopted an approach similar to that of the previous KMT government, including asking diplomatic allies to speak out during the U.N. General Assembly debate in support of Taiwan's "meaningful participation."